Board-certified Gibsonton, FL, orthodontist Dr. Matt Ahrens, educates parents on why early orthodontic evaluations and treatment should be part of a comprehensive pediatric dentistry plan. The notion of early orthodontics has risen in popularity as a proven method of both intervention and prevention. As a well-regarded local, board-certified orthodontist in Gibsonton, FL, Dr. Matt Ahrens of SouthShore Orthodontics, encourages parents to consider the value of early orthodontics for their children. Though most children do not go to an orthodontist until later in their pediatric dentistry journey, Dr. Ahrens urges moms and dads to visit an orthodontist sooner rather than when problems have already worsened or become severe. Many parents do not focus on visiting an orthodontist in Gibsonton, FL for a consultation until their children are in late preteen or teen years. Dr. Ahrens recommends making orthodontia part of a holistic pediatric dentistry plan due to its practicality and positive outcomes. The notion of early orthodontics has risen in popularity as a proven method of both intervention and prevention. A highly trained orthodontist like Dr. Ahrens can follow a child’s dental history throughout the years, intervening with proper solutions to fix issues at their beginning stages rather than when the child is much older. This may shorten the course of orthodontics later in some cases. It can also help children avoid feeling a lack of confidence because of tooth crowding, gaps and alignment issues. Young people who require orthodontia post-consultation have a number of options when they become a patient of Dr. Ahrens. His practice provides some of the latest technologies in orthodontics, including clear braces and other alternatives. Because Dr. Ahrens is a specialist in his field, he has the expertise to help families make wise decisions when it comes to the right appliances and protocols. Parents who would like to arrange for an evaluation and discussion with an orthodontist in Gibsonton, FL, can contact Dr. Ahrens at 813-815-0080. Prior referrals are not needed to make an appointment or become a patient at SouthShore Orthodontics. SouthShore Orthodontics specializes in providing comprehensive, customized orthodontic treatment to individuals and families in Gibsonton, FL, and the surrounding communities. Dr. Matt Ahrens is a board-certified orthodontist and has received advanced training in comprehensive orthodontic treatments, technology, and techniques. His mission is to provide exceptional orthodontic care to patients of every age by providing personalized treatment in a fun, comfortable environment. From SouthShore Watching and Growing (“SWAG”) Crew to adult orthodontics, Dr. Matt strives to help each of his patients feel welcomed and involved in their orthodontic treatment process. Outside the office, Dr. Matt is an active volunteer in the community and abroad, providing dental services and support on mission trips, through programs like Smiles Change Lives, and in surrounding schools and the local YMCA. 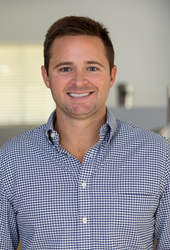 To learn more about Dr. Matt and the services he provides at SouthShore Orthodontics, visit http://www.southshore-ortho.com or call 813-815-0080.